A recent study has suggests that contact lens solution manufacturers test for all strains of Pseudomonas aeruginosa to prevent eye infection. The study discovered bacteria lurking in contact lens solutions, which can potentially cause serious eye infections, are able to live longer than previously acknowledged. Researchers from the University of Liverpool looked at the different strains of Pseudomonas aeruginosa, which can cause an inflammation and ulceration of the cornea (microbial keratitis), potentially resulting in vision loss. The UK researchers tested nine different strains of P. aeruginosa gathered from hospital patients and made comparisons of them to a strain 9027 of the bacterium, which is the standard strain used in laboratory tests by contact lens solutions manufacturers. Within ten minutes, most of the strains were killed after being put in the contact lens disinfectant solution, a result comparable to tests previously carried out on strain 9027. However, a more resistant strain 39016 – which is associated with more severe cases of keratitis – survived in the solution for nearly four and a half hours. 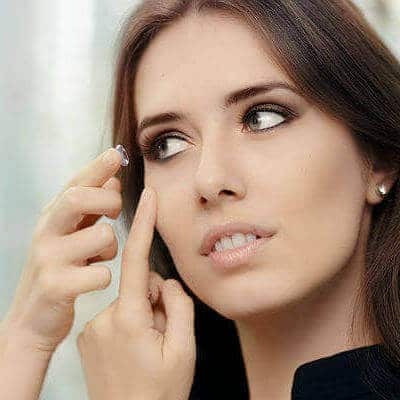 The findings, which were presented by the University of Liverpool researchers at a Society for General Microbiology meeting in the city, suggest that manufacturer tests of contact lens solutions should ascertain if they can kill all the strains of P. aeruginosa. The press release also stated that every year in the UK, there are approximately 6,000 diagnosed cases of microbial keratitis. Note: This study should be viewed as preliminary until publication in a peer reviewed journal. Time to consider alternatives to wearing contact lenses? If you are a contact lens wearer you might want to consider further the risks associated with their use and look at alternatives to your vision correction such as laser eye surgery. You can read more on laser eye surgery vs contact lens wear here ». If you would like to find out more about laser eye surgery at Advanced Vision Care and what it can do for your eyesight, then why not call AVC TODAY on 0800 652 4878 and request your free information pack or book your consultation to find out how we can help you.